Nowhere is this phrase more overworked than in relation to climate change. We hear it applied to everything from the rising frequency of high-tide flooding in Florida to Western summers full of wildfire smoke. It’s a phrase I hate. It’s the linguistic equivalent of a shrug, merely another way of saying, “Whaddaya gonna do?” In the context of politics and economics, it implies that “the new normal” is a done deal, and there’s no point doing anything but accepting that fact. But in the context of climate change, the phrase “the new normal” is even more insidious – and dangerous. It suggests that Earth has arrived at a new equilibrium, which is how things will be from now on. In fact, there is nothing normal – new or otherwise – about the world’s climate situation. To put this into perspective, our human species has never experienced CO2 levels this high in our entire evolutionary history, which is a mere 300,000 years or so. All of our assumptions about how the planet works are based on an atmosphere that no longer exists. And the really scary thing is that CO2 levels are nowhere close to reaching a new equilibrium. The Intergovernmental Panel on Climate Change predicts that unless truly dramatic reductions are made, atmospheric CO2 will reach about 700 ppm by 2080, with temperature increases of more than 3 degrees Celsius. Even with zero emissions, getting back to what we might consider “normal,” the pre-industrial levels of 280 ppm, is “sort of a 10,000-year proposition,” said Ralph Keeling, director of the Scripps Institution of Oceanography’s CO2 Program. And because of the enormous inertia of the planetary-scale changes that are underway, atmospheric equilibrium (when CO2 levels stabilize), geophysical equilibrium (e.g., sea levels, air and sea temperatures), and ecological equilibrium (when species are in stable new distributions) will all happen at different times. We probably have no idea what an ecological “new normal” might resemble. There is no reason to believe that different species of plants and animals will respond in a coordinated fashion to climate change. Ecologists have taken to calling this “the no-analog future” because we simply have no idea how climate change will reorganize the ecological world. And that has drastic implications for agriculture, forestry and the distribution of diseases. So, where does this leave us? When facing something with truly dire consequences – and climate change definitely qualifies – the only responsible course of action is to take a hard look at worst-case scenarios. Then, even if we’re not ready to take the radical action that would be required if the worst really happens, at least we can act to preserve our options. For example, the 30-foot rise in sea level that prevailed the last time atmospheric CO2 was as high as it is today would drown New Orleans, Houston and all the coastal cities of Florida. No one is ready to contemplate abandoning those cities – at least not yet. But we can, and should, do everything we can to avoid making the situation worse. For example, we could start enacting strict coastal development ordinances and no longer offer government-subsidized flood insurance in low-lying coastal zones. Such developments will require huge expenditures to defend from fire, and they will likely ultimately burn no matter what we do. As individuals and as a species, our normal reaction to radical uncertainty is to deny it. We make our best guess about the future, often heavily colored by wishful thinking, and muddle through. That’s understandable, but these are not normal times, and acting as if they are could be our undoing. Welcome to the no normal! Pepper Trail is a contributor to Writers on the Range, the opinion service of High Country News (hcn.org). 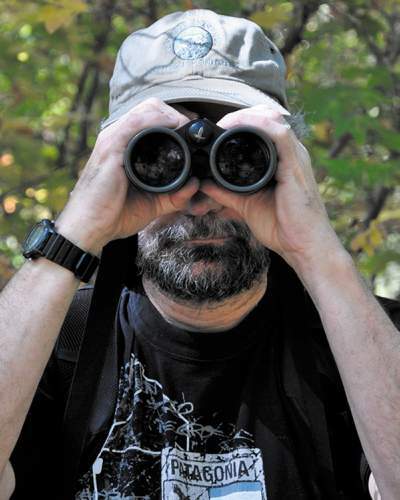 He is a writer and conservation biologist and lives in Ashland, Oregon.